I like this combo where I use a mixture of half Mod Podge and half white glue. White glue is 1/3 the price of Mod Podge and this method helps me to save a little. You can actually papier mache with just white glue or some like to brew their own starch concoction but the latter is way too much work for me. I find that with this combi, my papier mache projects dry faster due to the Mod Podge content. White glue alone, tends to take a longer time to dry. I like to brush glue onto the paper instead of soaking them into the gluey mixture. So I need a surface to work on when I brush the bits of paper. I do the brushing on pages of magazines. When two pages are used up, I simply turn to a new page and continue. This way, I will be able to keep the right side of my paper free from glue that may interfere with my final varnishing step. When I am done with my papier marche project, I simply tear off the pages that I have used. If you want a nice smooth finish, for your papier mache projects, try using a soft bristled brush when you varnish. 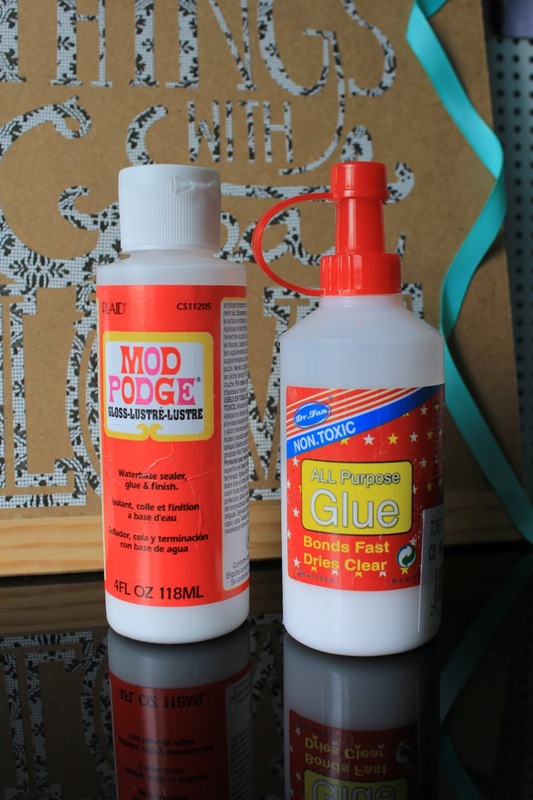 I like to varnish with the Mod Podge that I use for papier mache-ing instead of purchasing a separate varnish. Mod Podge dries very quickly which is such a bonus. It gives a nice shine when dried. If you want your project to have a really smooth finish, other than using a soft bristled brush for varnishing, you can also try using a super fine sandpaper. When the first layer of varnish has dried completely, run your sandpaper over the surface gently, blow off the dust and add another coat of varnish. Some people like using a separate tool to smoothen out the layers for their papier mache projects. I like to keep my pinky finger free from glue and use the length of it to smoothen and the tip to poke the paper into grooves or corners. When it is time to wash up, I like to let the glue dry completely on my hands. It is more effective to peel off the dried glue. Not to mention how fun it is (yes, I love peeling off dried glue from my fingers). Washing gluey hands is a pain. I can never seem to get my hands completely glue-free and will have to wash several times before I am satisfied.